Bin Laden killing: Whither objective journalism? Media organisations have conventional patterns of reporting that they operate under, consciously or subconsciously. I remember the general reaction in the newsroom the day the news of the operation that killed Osama bin Laden broke. There was relief, felicitations of ‘Mubarak ho!’ and the excitement of covering what was perhaps one of the biggest stories of the year. Throughout the day, and the days following the incident, I noted people’s reactions. While some openly celebrated the news, others quietly welcomed the news with relief, adding however that it was against their principles to celebrate death. Sure, there were some who questioned the media’s account and said that if the media’s portrayal and reporting about this terrorist figure were true, then it was indeed good news, but no one I met or spoke to supported the al Qaeda kingpin’s ideology or praised his actions which led to the killing of thousands of innocent people. Sure, there were conspiracy theories questioning whether Bin Laden was really dead, but there was no one who vowed to become another Bin Laden and avenge his death. Interestingly however, when the international media tried to find out how Pakistanis were reacting to the news, the world saw an entirely different picture from what was just related above. There were reports of “scores of people” taking to the streets to pay homage to the al Qaeda chief and calling for war against America. There were pictures of enraged people shouting anti-American slogans and burning down US flags. There were quotations from children calling Osama their hero and wishing to grow up to be like him. Many of us were baffled by the coverage of reactions to the killing – they were completely misrepresenting the general viewpoint of Pakistanis. 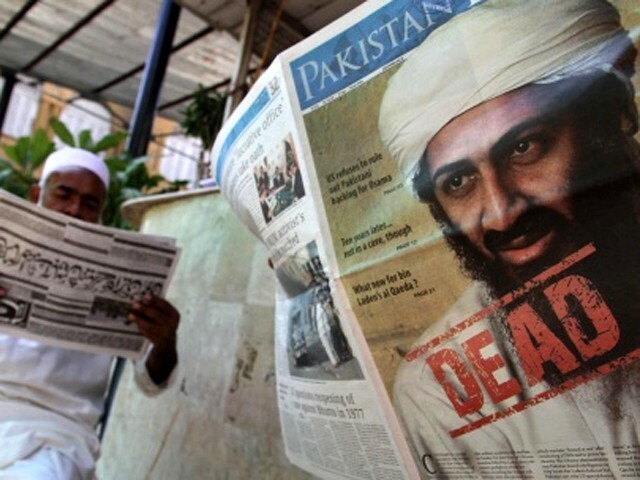 Pakistani newspapers welcomed the death in Op-eds and editorials, but news reports showed that the general population was idolising Bin Laden and were angered by his death. The same reports barely mentioned the other side of the story. There were no quotes from people who had welcomed the news or more so, were indifferent to it. The media seemed to be giving the impression as if all of Pakistan was supporting Bin Laden barring a few “intellectual elite” who were celebrating his death. The incident taught us something about balanced reporting and media agenda setting that often tends to ignore this. Most media organisations (and wires services specifically) often have conventional patterns of reporting that they operate under, consciously or subconsciously. The dominant narrative and the underlying motive to have a “juicy” story that “sells” lead them to focus on a small pocket of people who support that narrative. Why did no reporter speak to people who cared less whether Bin Laden was dead or alive because it made no difference to their daily lives? Why did no reporter speak to the victims of terrorism whose lives have been ruined by terrorists supporting al Qaeda’s ideology? Why did no reporter speak to investors and businessmen whose interests are hurt every time there is a terrorist attack in the country? One wonders if there really is any such thing as objective journalism. Interesting points shared. Its all about the circulation and rating these days in which objective journalism has lost. In Pakistan OBL’s death created a sense of uncertainty of national security and Internationally its was seen as the climax to any Hollywood movie. No body was interested internationally in Pakistan sorrow of 34000 lost lives during these years of war, instead it was portrayed as defeat for Pakistani Intelligence Agencies. No, there’s really no such thing as objective journalism anymore. We see this in America every day. Our media here is overwhelmingly slanted (each establishment in its own direction) and wholly unapologetic about it. What made the coverage in America of bin Laden’s killing even more so was the fact that most Americans are terrified of being politically incorrect. Bin Laden’s actions have been probably the single most emotional subject for all of us for the past ten years, and I don’t think anybody here really knew how to safely handle it or respond to this news. 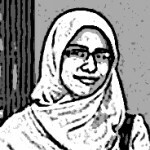 Naureen, you always come up with some interesting point of views. I personally consider you one of sensible bloggers in ET’s elite lot. are very hard to come by. Even the Economist has on its cover something like ‘ You have killed him. Now kill his dream ‘ shows its a tale too tempting to let go.